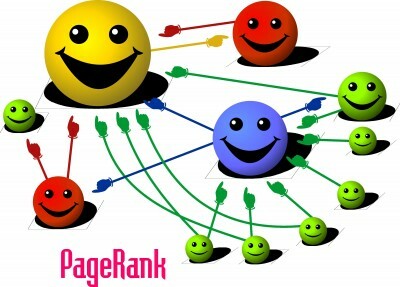 Google Page Rank is very important for sites and blogs. Page Rank update happens every 3 to 4 months. It is an automatic system that depends on quality links pointing your main domain. A single link from a high PR blog can change your rank from 0 to 4. Google PR basically ranks a page on the basis of its back links and how authoritative that link is. Google's 2012 page rank updates was on February, May, August, and the last was on November 2012. Here is the copy of 2013 Google Page Rank expected date if you want to keep track it. Good luck on the next Google Page rank update. Thanks for the information, I should take a note of this updates. Hopefully my blogs will get higher PR. Noting these updates though I'm not that particular with pagerank but let's see what happens in the next updates. Ya you are right, one single link of high pr blog can bring a site from bottom to top. Whenever Google updates pag ranks, I have a mixed emotions.. Excited and scared lol. Good luck to us! Oh, thanks for the dates! I was really eager to know when was the next update. Hey, where did you get these dates? Just curious! I must say, you depend it from last year. I see. Well, I hope i can get any updates this year...hoping for the better though. Oh!! good luck to us, I really hope that Mr Google will be kinder to my blog this time..
Oh, now I don't know what to feel as the coming date of the PR update nears. I dread it at the same time I fear for it. LOL. Sana naman yung mga PR0 ko uunlad. Haha. Good luck to us all! Thanks for this date, sis! I try my best to concentrate on writing since it is possible we can get frustrated by the pagerank. There really is no easy way to get a high pagerank. Crossing my fingers on this Google Page Rank update. I just hope mine will increase. I hope to get my PR back in the next update. All my bogs were PR 2 but now they are all PR 1. I hope my blog's PR would level up. It's stuck at PR 1 :-) Thanks for the heads up here. Can't wait till next update, I'm pretty excited! Goodluck everyone. New to blogging. Working hard for my blog. Hope will get the result. Let's see who will get Pagerank and who drop their Rank. I actually felt the Jan update on my hubpages account. It wasn't a big change though. For my local blog, some of my keywords moved a bit but nothing major as well. Google has updated the pagerank today!! good luck guys.. I hope my blog www.codemink.com will too come in PR list..